In the past few decades, the most common method of teeth straightening has been orthodontic braces. You probably either wore them or knew someone who did growing up–so you’re familiar with many of the inconveniences that go along with the treatment. Braces are conspicuous, often uncomfortable, come with food restrictions–and, for many, they are embarrassing to wear. Thankfully, there is a newer way to straighten teeth! Invisalign is a relatively new method of teeth straightening that comes without all the discomfort of metal brackets. Virtually invisible to the casual observer, these can be worn all day without being noticed by either the wearer or the people around them. They are also fully removable and easy to use, and our patients love the flexibility they afford. 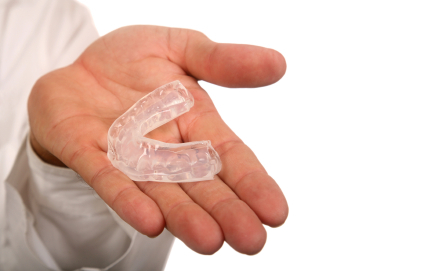 While Invisalign offers many benefits, there are some corrections that can’t be made this way. During your initial visit with our Scarsdale cosmetic dentist team, we will assess your teeth to ensure that you are a good candidate. Once your teeth are given the “all clear”, we will take x-rays, impressions and photographs of your teeth in order to create a digital 3-D model of your mouth. This will enable us to create a plan of action, and to provide an estimate on the time needed to gently shift your teeth into place. A few weeks after this initial visit, you will receive your first set of aligners. These are made of clear, BPA-free plastic, and are comfortable and easy on the gums and teeth. For the fastest results, you should wear your aligners 24/7, except when eating or cleaning your teeth. You will receive a new set of aligners about every 2 weeks with a slightly different shape so that your teeth can gradually shift to the desired positions. If you decide that Invisalign is right for you, we would love to help you out! Advanced Dentistry of Scarsdale is a premier provider of Invisalign in Westchester County. Dr. Celenza, our dual trained orthodontist/periodontist, is accredited and experienced in providing this service, and has done so successfully for hundreds of our happy patients. To learn more about this procedure, check out our “Clear Aligner” video on the Orthodontics page, or make an appointment for a consultation. We look forward to hearing from you, and beginning your journey toward a more beautiful smile!